The launch of a new website serves as platform for women who work offshore in which they can share their experiences and gain support from one another. Ally Cedeno, a nine-year industry veteran, much of it being in maritime, founded WomenOffshore.org, an online platform geared toward offshore-based female professionals, in July 2017. 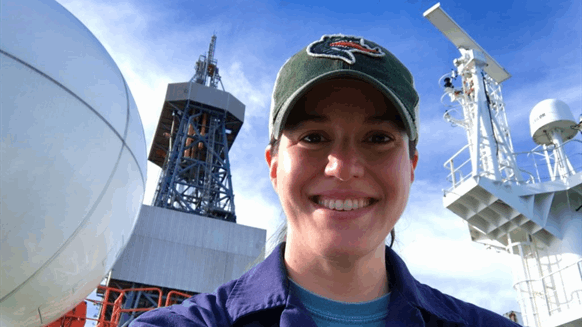 She currently serves as a senior dynamic positioning operator (DPO). Cedeno, along with fellow offshore workers Jessica Ryals and Erica D’Eramo, who have nine years and 15 years of experience, respectively, took time to chat with Rigzone about their experiences working offshore – everything from the role mentors play in career development to sharing a room with a man. Jessica Ryals is a U.S. Merchant Marine Academy graduate and a nine-year industry veteran. Rigzone: When and how did you decide you wanted to work offshore? Cedeno: In 2009, I was working onboard cruise ships when I learned about dynamic positioning systems. I was intrigued by the technology’s capabilities, so I applied for a DPO trainee position on a dive support vessel in the Gulf of Mexico. Ryals: When I graduated from the U.S. Merchant Marine Academy in 2008, the maritime industry was difficult to break into, but the oilfield was recruiting heavily for licensed mariners. The even time rotations and the job of dynamic positioning appealed to me. D’Eramo: Initially, working offshore was not my choice. I had requested an assignment in Alaska as my second full-time position in 2005, and was instead given an offshore engineering role in the Gulf of Mexico. I was initially heartbroken at the prospect of having to move to Houston and spend two weeks at a time offshore … it turned out to be the right role for me, and I thoroughly enjoyed my time in the Gulf. Rigzone: What’s one misconception people have about working offshore? Cedeno: “There are no women working offshore” is a common misconception I hear. While the number is low, we aren’t as invisible as we seem. Part of what WomenOffshore.org does is reveal this diverse group by interviewing them to find out more about their careers. Ryals: “It’s an unsafe job, particularly post-Macondo.” Every industry has its incidents and accidents, but we work hard every day to implement processes to keep our people, our planet and our equipment safe. D’Eramo: Many people assume that offshore workers must get bored or lonely because we aren’t able to leave the facility. In reality, there is a great sense of camaraderie and fun at most facilities I’ve worked. There are activities in the evenings for people who want to socialize, but more importantly, there’s humor and companionship throughout the day. 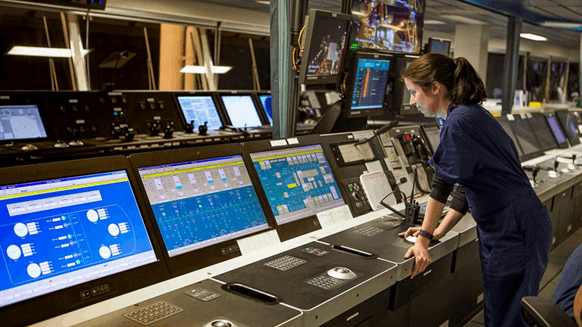 Rigzone: How important is mentorship for female offshore workers? Were you mentored in the past? Do you currently have a mentor? Cedeno: I have often wished I had a female mentor while working offshore. Someone to normalize the challenges of offshore life with and to seek guidance from may have set the groundwork for more confidence early in my career. Ryals: It’s so important! I never had someone I would truly consider a mentor, outside of the company mandated one for the first six months I worked there. Having someone to guide me through what working on a rig is like would have been invaluable. Senior Dynamic Positioning Operator Ally Cedeno is pictured in her element: working on the bridge of a deepwater drillship.